A world-renowned lunar cartographer, whose beautiful atlases have become prized possessions, has died at age 83. 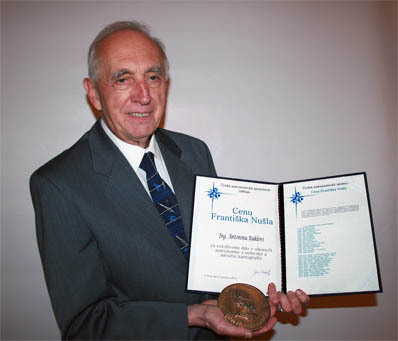 Known worldwide for his lunar cartography, Antonín Rükl received Cena Františka Nušla in 2012 — the Czech Republic’s highest award for astronomical achievement. Antonín Rükl, noted lunar cartographer, selenographer, prolific author, and retired director of the Prague Planetarium, passed away on July 12th at his home in Prague, Czech Republic. Rükl’s loss is being deeply felt by anyone who loves looking at the Moon. Among the books he authored, his legendary Atlas of the Moon, originally published in 1991 and most recently revised in 2007, remains one of the most sought-after books of its kind. His astronomical maps, atlases and picture publications were published not only in the Czech Republic but were also translated into many languages and published abroad. 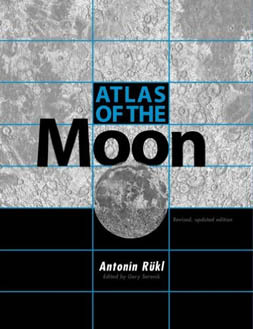 Atlas of the Moon by Antonín Rükl” width=”169″ height=”220″ /> The 2007 edition of Antonín Rükl’s Atlas of the Moon is highly prized by lunar observers. Besides his much-admired lunar atlas, an incomplete list of Rükl’s other books includes Skeleton Map of the Moon, 1:6000000 (1965), Maps of Lunar Hemispheres, 1:10000000 (1972), Moon, Mars and Venus (1976), The Amateur Astronomer (1985), Hamlyn Encyclopedia of Stars and Planets (1988), Hamlyn Atlas of the Moon (1991), The Constellation Guide Book (1996), and A Guide to the Stars, Constellations and Planets (English edition, 1998),. Rükl was born in Čáslav, Czechoslovakia, on September 22, 1932. His keen interest in astronomy began as a student hobby when he was 17 years old. He graduated from Czech Technical University in Prague in 1956, after which he joined the Czech Technical University as a staff member, working at the Prague Planetarium in February 1960. Rükl became head of the planetarium shortly after its establishment, holding that position until late 1999 when he “semi-retired.” Even then, according to a statement released after his death, Rükl continued to work on planetarium programs until his last days. 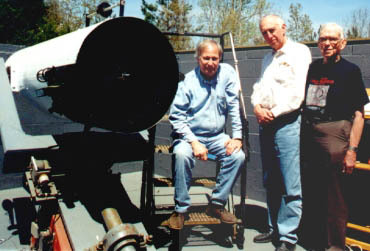 During a visit to U.S. in 2000, Antonín Rükl (center) and the late Walter Haas (right) visited with author Ken Poshedly at the Atlanta Astronomy Club observatory’s 20-inch reflector. Besides a planetarium directors’ conference in 1999 in Florida, Rükl’s only other visit to the U.S. was as the keynote speaker at the Atlanta Astronomy Club’s Peach State Star Gaze in April 2000. At that event, more than 200 attendees gathered to attend his two presentations on how he researched and prepared the scrupulously detailed maps for his lunar atlas. In addition to his knowledge and professionalism, what impressed everyone was his humble and unpretentious demeanor. For example, after the daytime talks, he walked the observing field each night on his own, chatting with attendees, autographing their copies of his lunar atlas, and even peering through their scopes at the evening’s young Moon. Prior to the PSSG event, Rükl had privately communicated to the event organizers that he himself had no telescope of his own and asked for advice on what he might consider purchasing. Instead, a group of AAC members pitched in to surprise Rükl with his own Meade ETX scope at the event. It was also there Rükl received a lifetime membership in the Association of Lunar & Planetary Observers (ALPO). Also in 2000, minor planet 15395 was named for this beloved lunar specialist. Afterward, he said that felt more honored here in the U.S. than he was back home. However, in 2012 he was given Cena Františka Nušla — the Czech Republic’s highest award for astronomical achievement. Rükl’s wife, Sonja, passed away several years ago. They are survived by a daughter (Jana), a son (Michal), and four grandchildren. The post Antonín Rükl, 1932–2016 appeared first on Sky & Telescope.